Every year around this time, retailers announce store closures – many of which are mall-based. This year is no different, with mall-based retail chains including Abercrombie & Fitch, Sears, Macy’s and JC Penney announcing store closings – on top of store closures in 2013. And with mall traffic declines expected to continue as e-commerce gains, it wouldn’t be surprising to see more retail operators downsize or close stores. And that has made many experts predict the death of the shopping mall. But is it really game over? Let’s face it, Mall of America’s expansion plans notwithstanding, it’s going to be tough for mall operators, even in A or B malls, to fill all the empty slots in their malls this year – and continue to drive traffic. Most A and even many B malls have already expanded food options, added play areas, tried weekend fairs and farmers markets, hosted fashion shows and encouraged mom-and-pop retailers to open stores (e.g., eyebrow threading, shoe repair). But all of these options are really just a stopgap. So, what should malls be doing to maintain their relevance in an increasingly e-commerce oriented world? Embrace the Pop-up – Short-term pop-up shops (either marketing-related or commerce-related create a lot of hype in big cities. So why shouldn’t malls use their extra space or empty storefronts to host an ever-rotating cadre of pop-ups to drive excitement in the mall? Sample sales are another option – and existing retailers in the mall can even contribute. Bring Online Offline – Sure, some shopping malls offer free wi-fi, and others promote their own mall apps. But that’s not enough. Bringing select e-commerce retailers into the mall (like eBay, Amazon or Etsy sellers) – via a pop-up shop, marketing promotion or showroom would help to create more buzz and local excitement at the mall. Invest in Flexibility – One of the biggest issues with malls today is their fixed layout – which makes it difficult to bring in non-retail, non-food options. With fixed store layouts, shoehorning office cubicles, gyms or doctor’s offices into the current spaces is just too difficult or expensive. But if malls could over time reconfigure at least some of the space into areas with flexible wall and flooring arrangements, they could attract more non-retail businesses that could drive more foot traffic. Of course, there are also plenty of malls that need a facelift, are saddled with irrelevant retailers or just are poorly located. For those malls, there are no easy answers. But for the remainder, the time is now – before it’s too late. 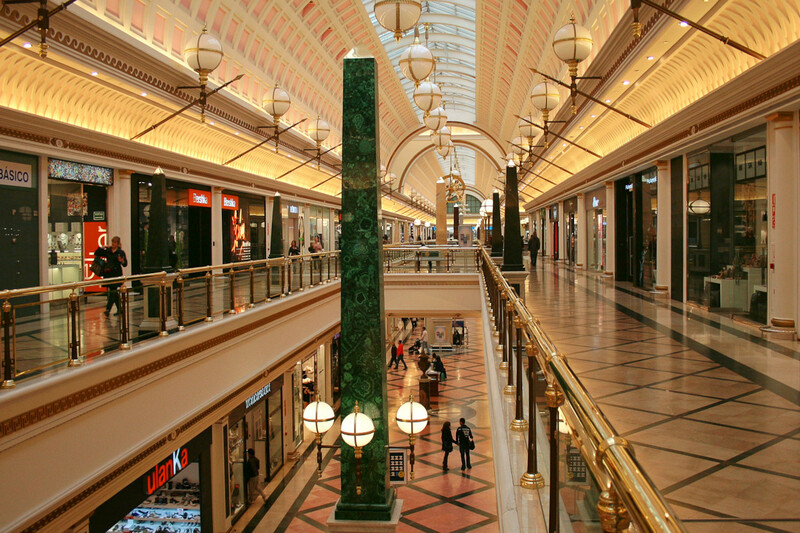 Previous Article← Will Millennials Go Back to the Mall? Not Really.